The thing that stands out the most to me in “Sammattick The Rebel’s” album, “Rebelution” is the beautiful piano music that serves as a backdrop for some of the songs. It’s as though he could have released a separate album with just instrumentals, and it could have been used as a soundtrack for some kind of sentimental film. As for the rap in general, the style has a very early 90′s feel(a good thing.) Being a fan of the original 60′s show, my favorite jam is probably the second song “Holy Batmans,” which happens to feature a sample from the hit folk tune, “Reach Out In The Darkness” by Friend and Lover. It’s impossible to come up on the 12th track “Man In The Mirror” without thinking it might be some new rap version of the Michael Jackson classic jam of the same name. The two songs are nothing alike though. Overall, this is a pretty decent collection of hip hop songs with enough variance in style that anyone should be able to find something they like. Sammattick definitely has some speed skills as a rapper, and some of the retro themes he incorporates seem to work with his style. 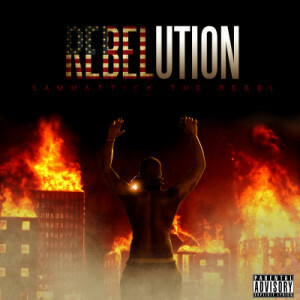 Despite the album’s cover photo and the title, “Rebelution,” I didn’t really pick up on any heavy political sentiments that would turn people off to listening to it. 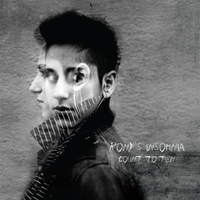 As much fun as it is to explore things outside my element, I love when I get the chance to review something that is in the realm of what I would actually listen to, which is why it was refreshing to hear the jams of “Rory’s Insomnia,” a New York based rock group led by female Israeli singer, Rony Corcos. Her voice and music have a kind of mid 90′s alternative/Indie film soundtrack kind of vibe. Her vocals remind me of Sarah McLachlan, but the backing instrumentation is more modern, and he songs softly energetic like The Cranberries. My favorite track on their newly released album, “Count To 10,” is the 7th track, “Emerald City.” It just seems to be the catchiest one with the most potential. All 10 of these songs are good though. They are meticulously put together, elegantly performed, and themed nicely. Take the time to check them out.